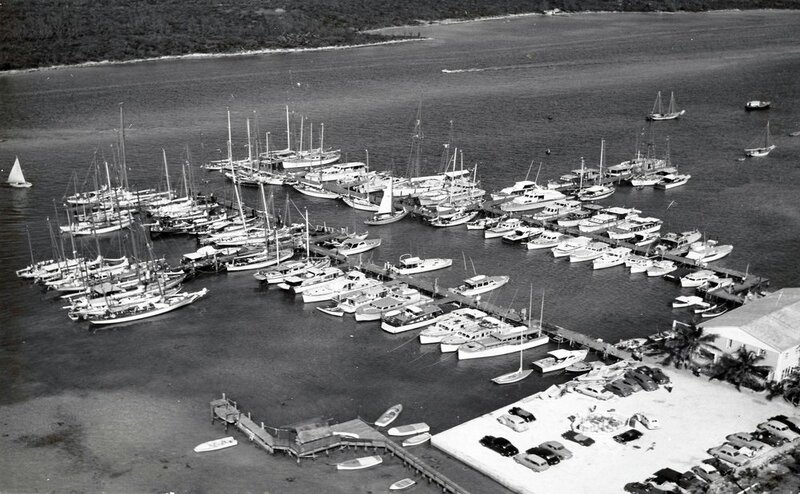 The Nassau Yacht Haven Marina holds a special place in the history of Nassau Harbor as it is the oldest operating marina in Nassau Harbor as well as the oldest continuously operating marinas in the entire Commonwealth of the Bahamas. In brief, we know it was incorporated in it’s current location as a marina in approximately 1948. The original building, which has housed the Poop Deck Restaurant for over 54 years, was originally used as an air plane hanger in Oakes Field. The land it occupies was one of the first that was filled in in the harbor itself. As the popularity of recreational boating grew after WWII, so did the demand for docks. The marina has continued to grow and become a landmark for locals and visitors to our beautiful shores for decades. The Nassau Yacht Haven Marina has been home to yachting Hollywood celebrities, premier athletes, legendary singers and crooners, Fortune 500 executives as well as people from the world over who enjoy the crystal clear cruising waters of the Bahamas over the years. It has also been featured or used in filming many movies and documentaries over it’s history; even quite recently. As the marina now starts a new chapter under the ownership of an experienced maritime Bahamian family, it will be celebrating it’s long history and important place in the boating industry while also embracing the upgrades and additions needed to keep it current with the times. We now boast 135 slips to accommodate watercraft and yachts up to 200 feet. We have protected docks with deeper water than other marinas in the harbor with some that clear 18 feet at low tide. It continues to be an important marina for those in the know when visiting Nassau, and we want all who tie up at our docks to feel it is their home away from home.